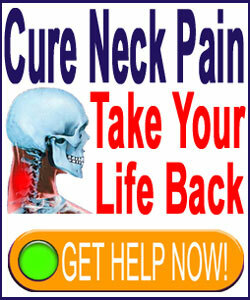 A natural cure for neck pain might come in various forms, some of which might surprise you. There is a growing demand for natural treatments for all manner of painful conditions and neck pain is certainly no exception to this rule. However, just because a treatment is natural does not mean that it is safe or effectual. We have spent more than a decade trying to teach people about their options for treating various forms of pain. The choices extend much farther than the typical pharmacological products that are used in 98% of pained patients. However, we also always seek to provide an honest and objective look at these alternative therapy paths, since no treatment is perfect and virtually all have negative considerations to evaluate. This essay focuses on highlighting the positive and negative attributes of a variety of all natural treatments for neck pain. We will examine both symptom-based practices, as well as modalities that have the possibility of enacting true and lasting cures. The word natural generally means to treat without the use of drugs or surgery. However, there are therapy options that fall within this definition, but are still not natural and there are methods that do not exactly fit the definition, but are indeed natural. The use of technologies, such as ultrasound and radiowaves, is not a natural form of treatment, while injections using prolotherapy ingredients are. We tend to define natural as the use of organically occurring substances, activities and exposures in therapeutic ways towards a specific goal. The word cure is just as confounding, since it denotes a permanent end to pain without the need for ongoing treatment. Cures are virtually unheard of for chronic pain sufferers. Treatments are far more common. Treatments make the symptoms more manageable and livable, but typically are not complete in the relief provided and also temporary in the duration of efficacy demonstrated. Now that the definitions of the subject of this essay have been clarified, we can move forward to explore some of the most useful natural neck pain cures and therapies. Chiropractic is the third largest healthcare profession in the world for good reason. Many patients swear by its efficacy for relieving pain using all natural spinal manipulation practices. Unfortunately, few patients find lasting relief from chiropractic care, which suits practitioners just fine, since most doctors of chiropractic claim that the practice is not a treatment per se, but instead is a health maintenance program that should be used for life. Massage is the world’s oldest therapeutic practice. Massage comes in many forms and can provide substantial relief for a wide range of painful complaints, including upper dorsalgia. Common styles include Thai, Swedish, Shiatsu, Rolfing, Reflexology and Trigger Point. Massage will only provide temporary benefits for most patients, but may speed organic healing of many injuries and soft tissue issues. Exercise and physical therapy are widely used natural practices. Occasionally, these modalities can be curative, but in most cases, relief enjoyed will be extremely transient. At least both offer great benefits to overall health with virtually no downside to consider, besides their temporary nature. Acupuncture, auriculotherapy and acupressure can be used to improve general health or target pain-generating mechanisms. When applied by a master practitioner, acupuncture can be just as effective as the strongest pharmaceutical products. However, relief is temporary and treatment can be expensive. Botox is an injection therapy that uses an all natural toxin to reduce spasms and calm muscular pain virtually anywhere in the body. Effects might last for as short as a few days or as long as several months. Botox is extremely dangerous and incorrect use can prove fatal. Heat and ice are perfect all-natural treatments that can dull and relax away many types of pain. There are many different ways to use heat and ice therapy and we advise interested patients to read more of our detailed coverage of their application on the various sites of The Cure Back Pain Network. Hydrotherapy and aquatherapy can help reduce pain and stress. These low cost treatments can be easily self-managed, but will not provide a cure. Meditation can be directed specifically at reducing pain. We prefer the use of meditation combined with other mindbody practices detailed below in the curative section on natural treatments. Coaching is a holistic method of reducing pain using a combined care approach. Coaching is perhaps the very best path for patients whose pain has not responded to a wide range of physical treatments and has a definitive structural cause. Coaching has no risks and the tools learned can be self managed effectively for a lifetime of improved health and reduced suffering. Alexander Technique is very effective at addressing postural causes for neck pain. If posture is the real underlying problem, then Alexander should be a strong contender as an ideal treatment. Prolotherapy wil not cure anything unto itself, but might help facilitate organic healing of particular injuries through the use of all natural irritant injections into the affected tissue. Prolotherapy remains a hotly-debated and controversial treatment for good reason. Spinal decompression offers the hope of permanently actually resolving the structural problems that are responsible for causing severe neck pain and other pain problems. Decompression using the VAX-D, DRX9000, AccuSpina or Antalgic Trak systems works for select causes of neck pain, including contained cervical herniated discs, cervical degenerated discs and specific forms of cervical osteoarthritis. 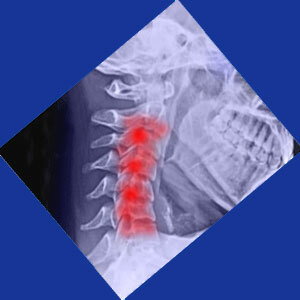 Mindbody practices are perfect when the cause of pain is not structurally-motivated. A large percentage of diagnosed neck pain problems are incorrectly identified as stemming from incidental anatomical abnormalities. The widespread and incredibly effective use of mindbody practices, such as knowledge therapy, has proven conclusively that many acute and chronic pain issues can be permanently cured using completely non-physical practices.